Seismic Research Support Vessel "Aquarius-G"
Home › Research Vessel › Seismic Research Support Vessel › Seismic Research Support Vessel 4009 › Seismic Research Support Vessel 4009 "Aquarius-G"
The delivery of the ‘Aquarius-G’ and her sister ship ‘Astra-G’ to offshore services company Rederij Groen (Scheveningen, the Netherlands) marked a milestone in Offshore Support Vessel construction. Never before, such Chasers have been purpose-built. The vessels have been designed by Saltwater Engineering in close cooperation with both Rederij Groen and Maaskant Shipyards Stellendam. 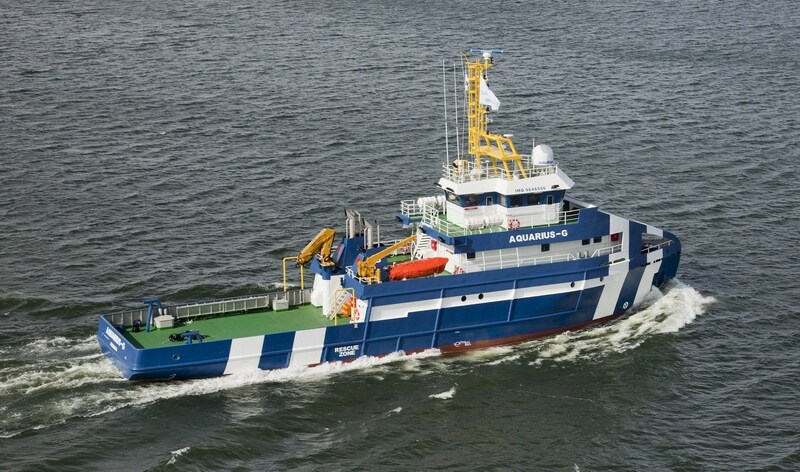 Both Seismic Research Support Vessels were constructed by Maaskant Shipyards Stellendam, part of Damen Shipyards Group.